Google might be an information-hungry, privacy-destroying monster, but the company also puts out some of the best web services available. Android has the best support for Google’s services, but your iPhone can do pretty well on its own. 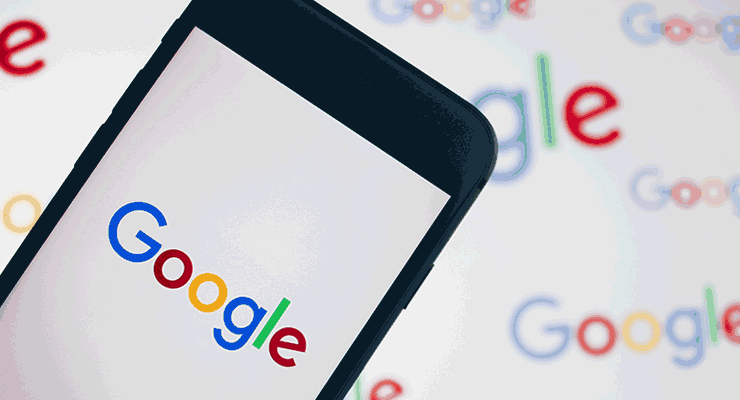 Here’s how you can get Google’s best features on your iPhone. Your first step is installing Google’s native iOS apps for any services you use. There are apps for Gmail, Calendar, Maps, Drive, Docs, Sheets, Translate, and a couple other less popular apps. You’ll also want to install the Chrome browser and set it as your primary browser. Explore the app options and plug in as many customization options as possible. The Google search app, for example, allows for significant news feed customization. While you can use Google’s applications with other cloud services, you’ll have a better experience if you use Google’s services. Part of the reason to use Chrome is to sync your browsing history, bookmarks, passwords and more. This way you can check out tabs and other information from your laptop or desktop on your iPhone. This will sync with any kind of platform. Gboard is Google’s keyboard for iOS. It’s built into the Google search app, so you have it already. It replaces the built-in keyboard and ads two exceptionally useful features: Google search from within the keyboard and searchable emojis. Everything is essentially the same, though Google can theoretically track everything you’re typing if they want to. 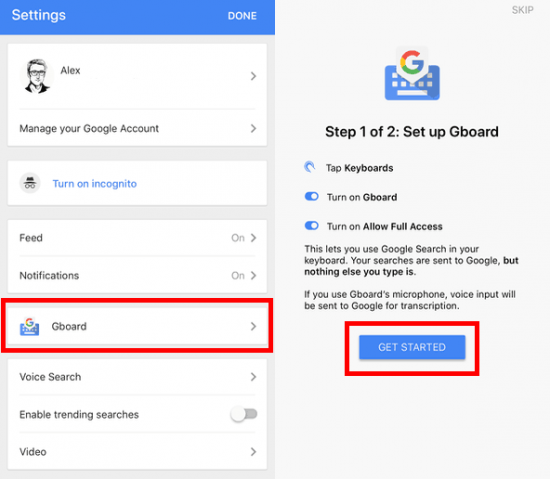 To install the keyboard, open the Google app’s settings by tapping the gear in the upper-left and then tap “Gboard.” Follow the instructions from there to install and enable the Gboard keyboard. You also get access to Google’s text-to-speech tools from the keyboard. Just like with Siri, you can tap the microphone icon on your keyboard to start translating words into written text. Google’s algorithm, however, is far more effective than Apple’s Siri system, so text-to-speech will be more useful. As Siri Shortcuts are rolled out, we might find that Siri upstages Google’s voice assistant. But, for now, Google is the king of that particular castle. So long as you don’t mind you information being sucked into the never-forgetting, advertiser-accessible cloud. Once you have everything installed, you’ll need to set it up as your primary tools. Unfortunately, Apple doesn’t have an excellent way to make this happen. Instead, you need to rely on Google’s apps to communicate with each other. Use the settings from within each app (typically called “App Settings”) to get everything to communicate. You can also use an app like Opener to force certain kinds of links to open in certain kinds of apps. To enable Google’s voice assistant on your iPhone, follow the instructions below. 1. Open the Google app and tap the gear in the upper-left to enter Settings. 3. 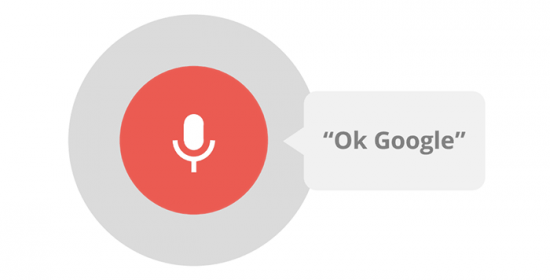 Toggle “‘OK Google’ Hotword” to on. Serious Google devotees will want to consider jailbreaking. 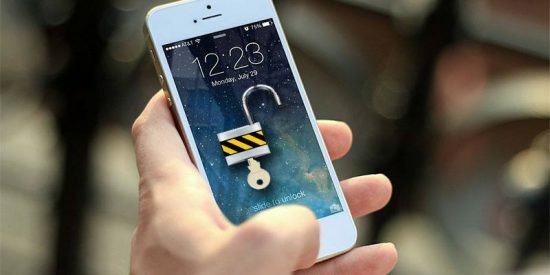 iOS offers limited opportunities for deep customization, but so-called “jailbreaks” can solve that problem. When you jailbreak your device, you disable Apple’s built-in restrictions of how the user can change the device. Jailbreaking your device isn’t easy. It can and does cause major software damage, so it’s not for the faint of heart. Unless you feel like a software pro AND you’re willing to permanently brick your phone if something goes wrong, do not proceed. But if you can hack it (and you have an older version of iOS on your device), you can make it happen. Then you can install virtually anything on your iPhone, enable screen-off “OK Google,” and more. It just depends on what you can find. Jailbreaking methods change frequently, so check out a forum like /r/jailbreak for the latest details. And once y0u do jailbreak your device, you won’t be able to update it without losing your jailbreak. 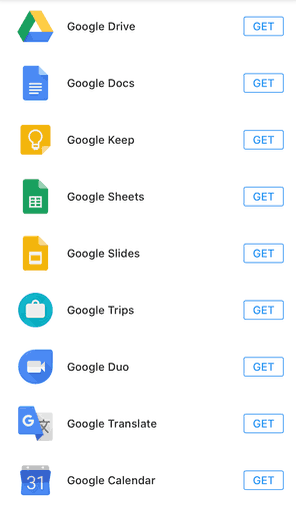 With all the Google apps installed on your phone, you might find that you have enough of a Google experience to suit you. But if you want your iPhone to be more like Android, look into jailbreaking your iPhone.